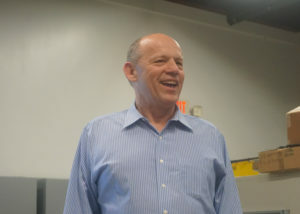 AASP-NJ and SCRS board member Dave Gruskos on Thursday argued that OEM certification, as well as following OEM positions, would be necessary steps for any collision repairer hoping to keep doing business. However, Gruskos (Reliable Automotive Equipment) also cautioned auto body shops against applying for certification prematurely. “Don’t have an inspector come to your shop if you are not prepared,” he told the audience at an Alliance of Automotive Service Providers-New Jersey event, according to the organization. A dirty facility — even the shop’s bathroom might be inspected — could also prevent the shop from making the cut, according to Gruskos. He said OEMs also want to know how the shop treats the staffers who will handle the work on their models. The clean facility advice isn’t surprising. Even a facility that has zero connection to an automaker can affect its brand through repair quality, and it seems logical that one recommended by an OEM could really influence the mutual customer’s perception of the automaker. Assured Performance, which runs certification for multiple OEMs, requires shops to have “a professional, well-maintained customer reception, waiting and restroom areas,” for example. Direct repair program insurers with presumably a similar stake in the shops they recommend also stress repairer cleanliness, based on a 2015 SEMA talk by B2B Automotive owner Michelle Nelson on how small shops could secure a network spot. Nelson also noted that the bathroom could be a factor, at one point remembering another shop that lost a DRP simply for reasons related to staff dress and the lavatory. It’s worth doing certification right, according to Gruskos, though the AASP-NJ news release covering his presentation also mentioned the need for shops to be realistic. “You can’t survive in this business and not be certified by (an OEM). It’s just not going to happen,” Gruskos said, according to AASP-NJ. “Who Pays for What?” survey results reported by FenderBender the day before Gruskos’ talk support the idea of obtaining certification, at least in aluminum. FenderBender, citing the October 2018 study by Collision Advice and CRASH Network, reported that a smaller proportion of shops see OEM aluminum certification as a “great” decision, but a larger percentage say they have seen or think they will receive a return on their investment. “Your world is getting very complicated. It’s changing at a rapid pace and it’s either going to make you step it up, or go in a different direction,” Gruskos said, according to AASP-NJ. Gruskos also directed shops to follow automaker position statements. “It is extremely important to just simply do it the right away,” he said, according to AASP-NJ. He called those documents “not a suggested way – it is THE way – to repair a car” and mentioned the liability in an incorrect repair, according to the organization. “These cars can come back to haunt you,” he said, according to AASP-NJ.